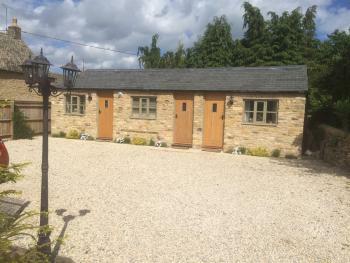 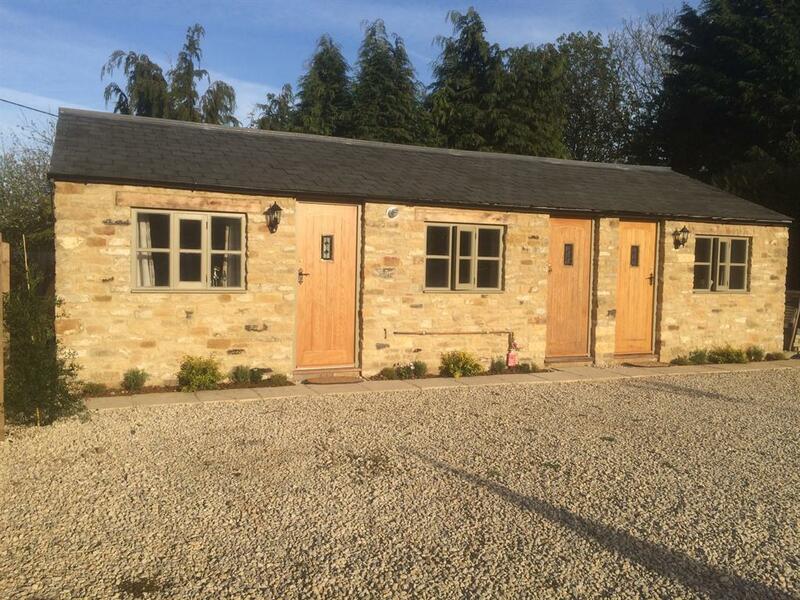 The studio room has a comfortable oak double bed with oak furniture throughout and an en-suite shower room. 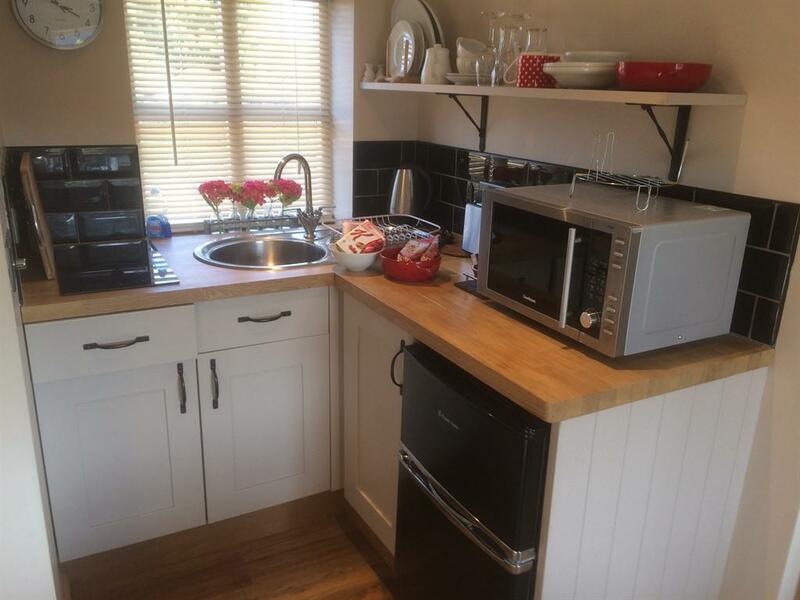 It has a kitchenette with sink, oven, hob, toaster, fridge freezer and tea and coffee making facilities. It has a flat screen TV with DVD player and seating and a table to enjoy your continental breakfast which is provided in the room. 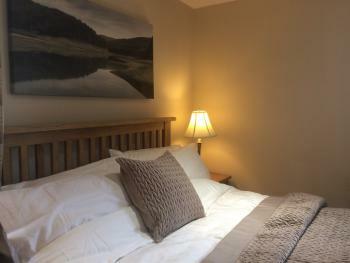 The room is accessed via a short flight of stairs from the outside of the building. 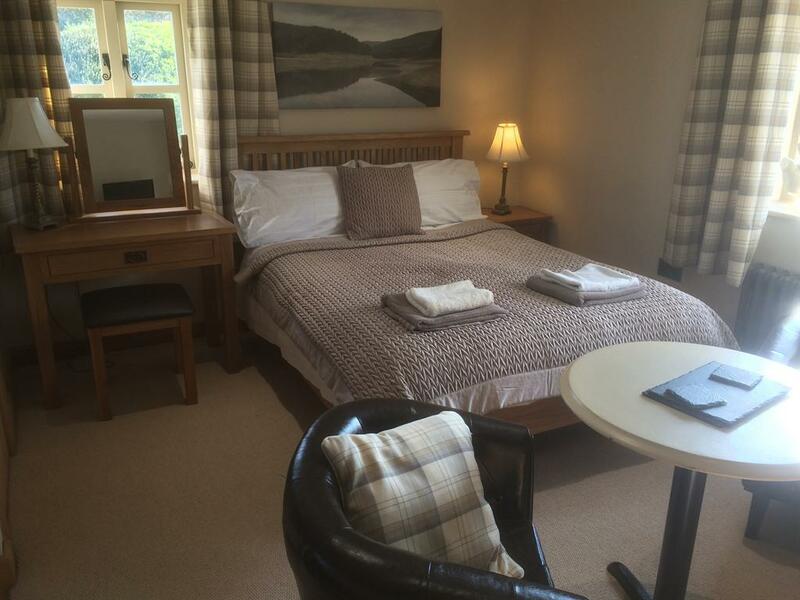 The twin/double rooms have comfortable beds and can be configured as two singles or a super king sized bed. 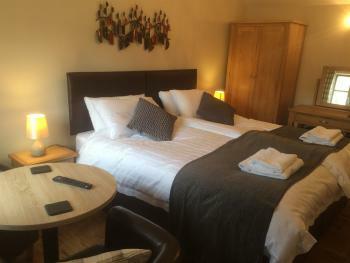 For single occupancy the room is configured with a single bed. 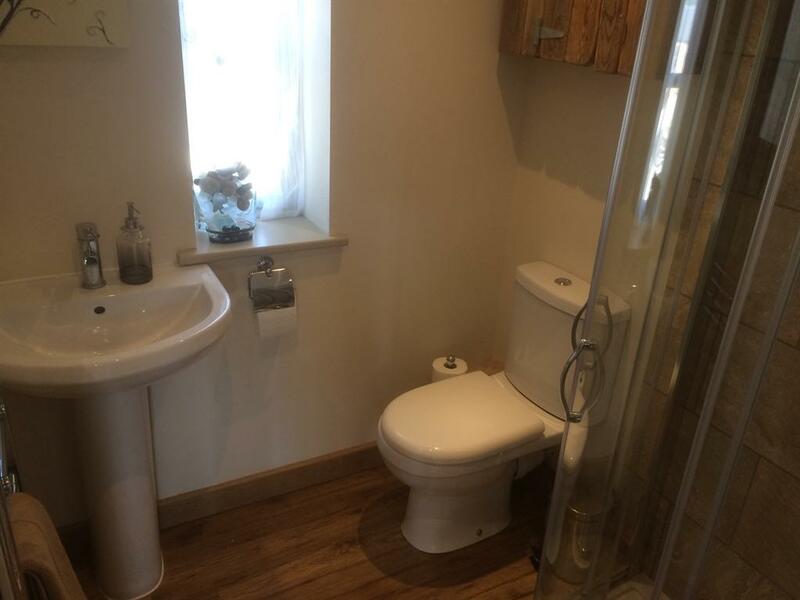 They have oak furniture throughout and an en-suite bathrooms. 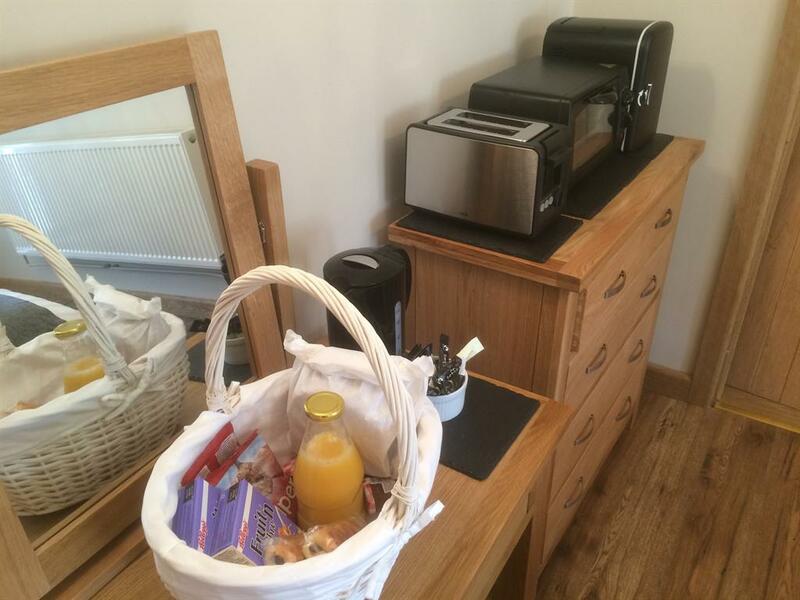 There is a mini oven, toaster, mini fridge and tea and coffee making facilities for to enjoy your continental breakfast which is provided in the room. They have a flat screen TV's and seating and a table. The rooms are accessed from the outside at the back of the beer garden. The Salford Inn is a family run traditional village pub located in a quiet village outside Chipping Norton in the Cotswold countryside. 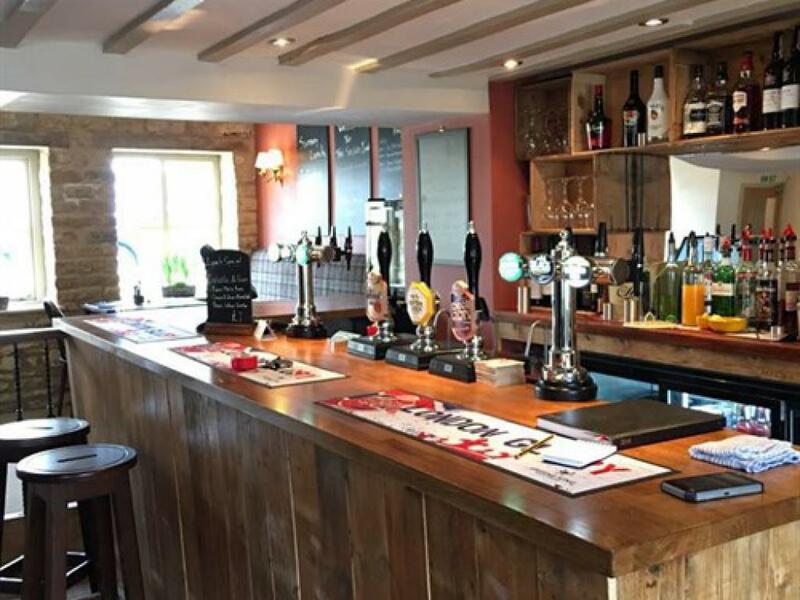 The pub was fully renovated in 2016 and 3 brand new en-suite rooms were created in 2017. We serve home cooked food at lunch and dinner and have a fully stocked bar with great guest ales, and french wine. 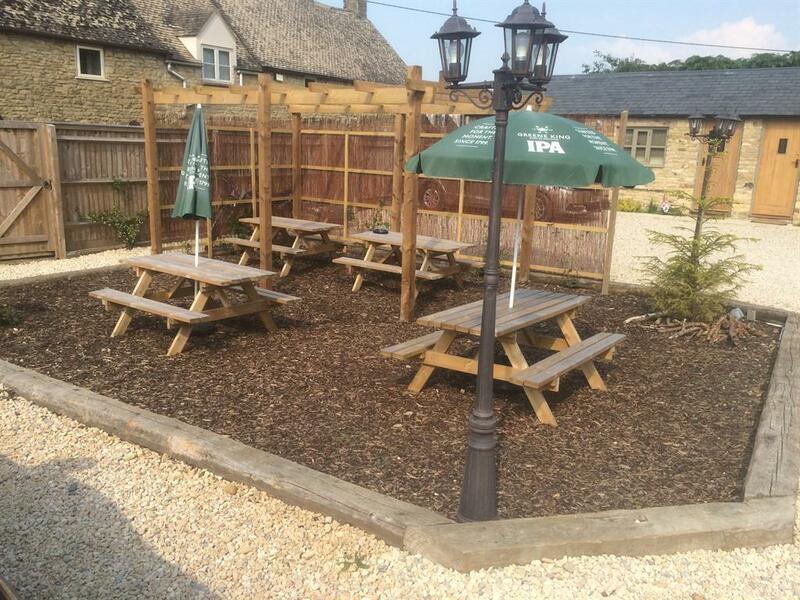 We have free wifi and off road parking. 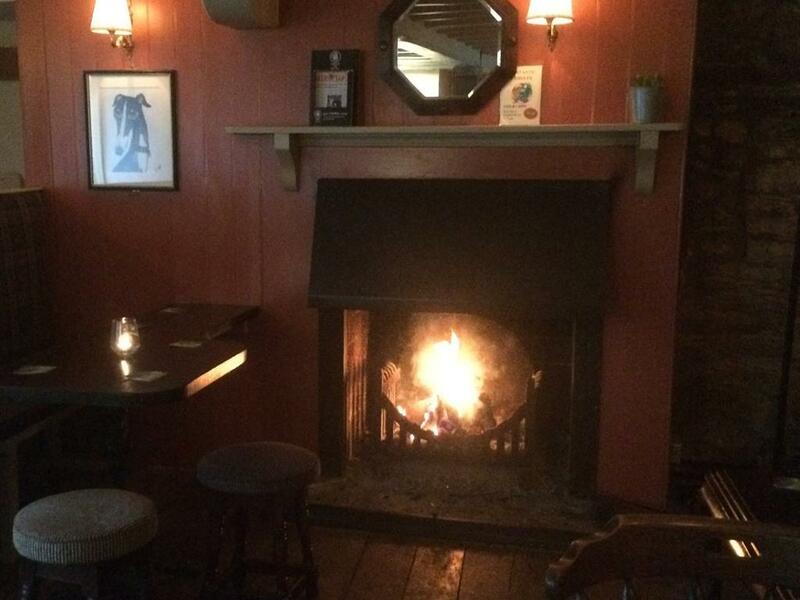 Please note, the pub is not open on Sunday evenings and all day Monday. 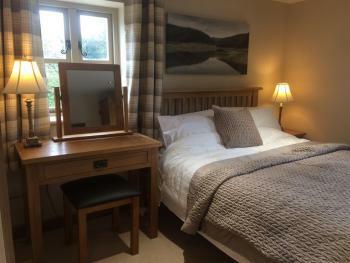 All the rooms are modern and tastefully decorated with oak furniture throughout, two rooms are twin/doubles with en-suite bathrooms and the studio room has a kitchenette and en-suite shower room. 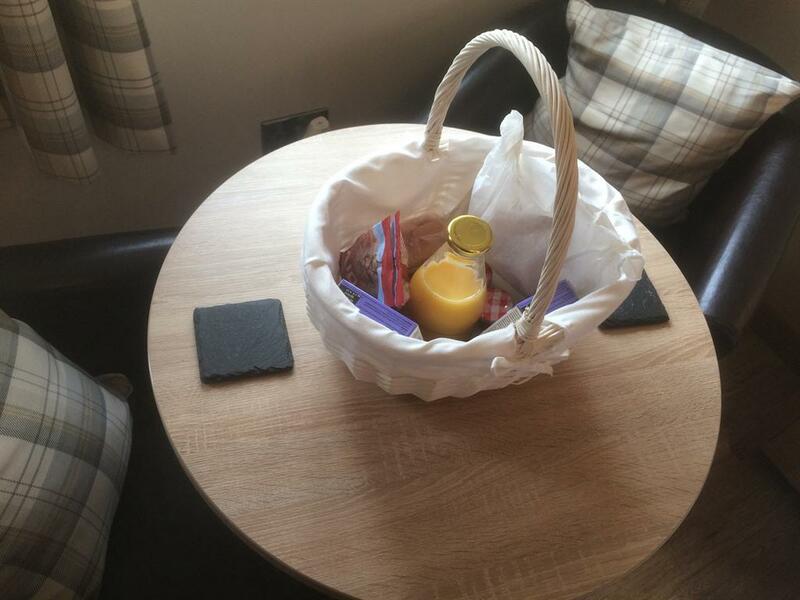 We serve continental breakfast in your room. All rooms are accessed from the outside and there are a short flight of stairs to get to the studio room. 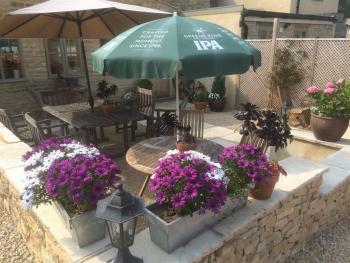 We have a delightful sheltered garden and patio area which is a great place to eat outside or have drinks in the sunshine. If your up for a walk , Salford is a great place to start with 5 walks intersecting the village. Chipping Norton is 2 miles away where you can visit some of the antique and boutique shops of simply pick-up some groceries. 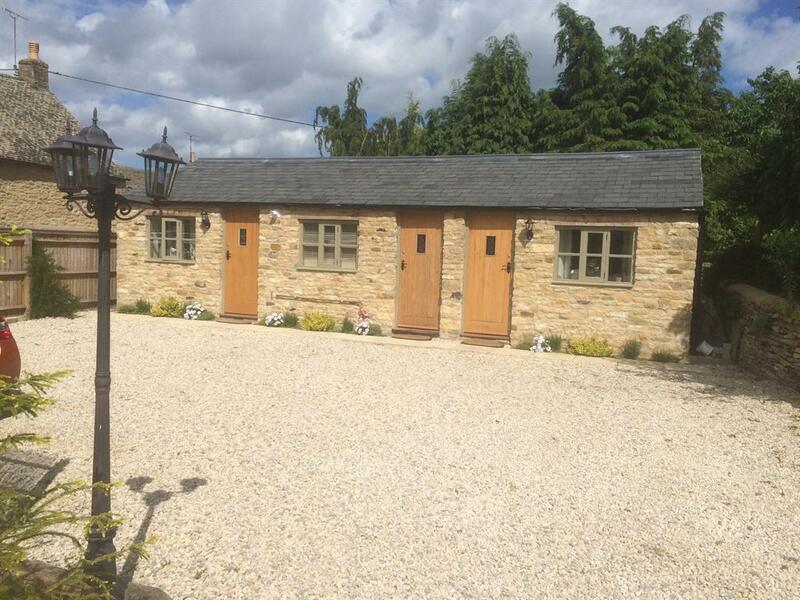 If you fancy a drive into the Cotswold countryside we are 15 mins from the beautiful market towns of Bourton on the Water, Stow on the Wold and Morton in the Marsh. 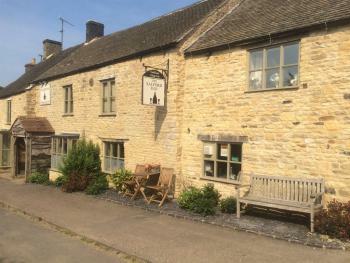 The pub is at ground level and has disabled toilets. 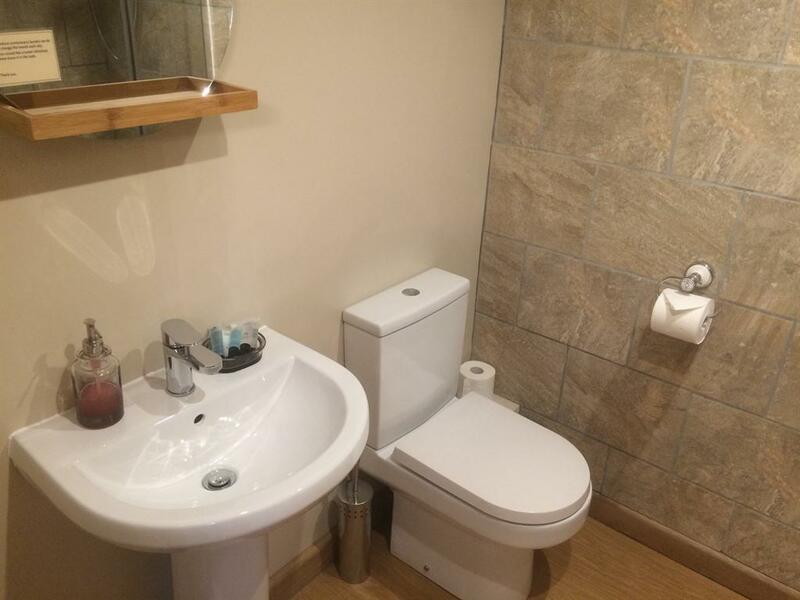 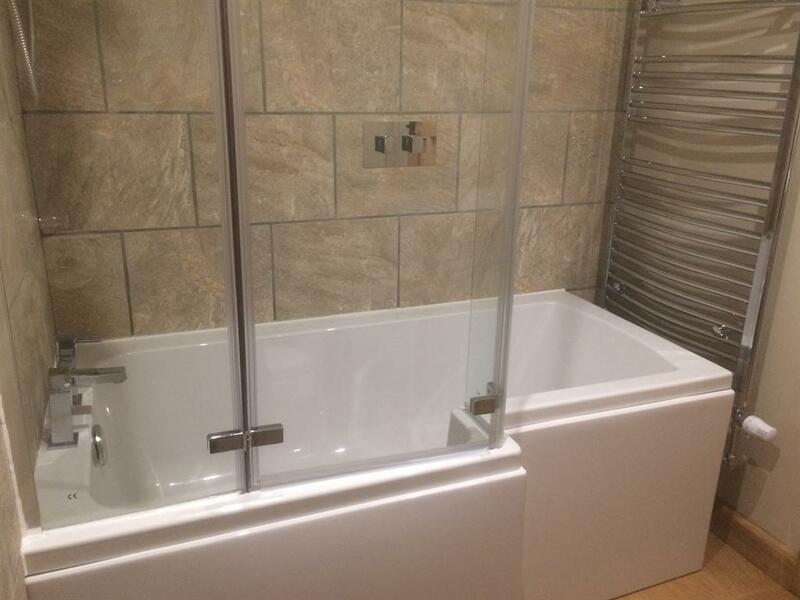 The twin/double rooms have one step to enter, however the ensuite bathrooms are not suitable for wheelchairs.